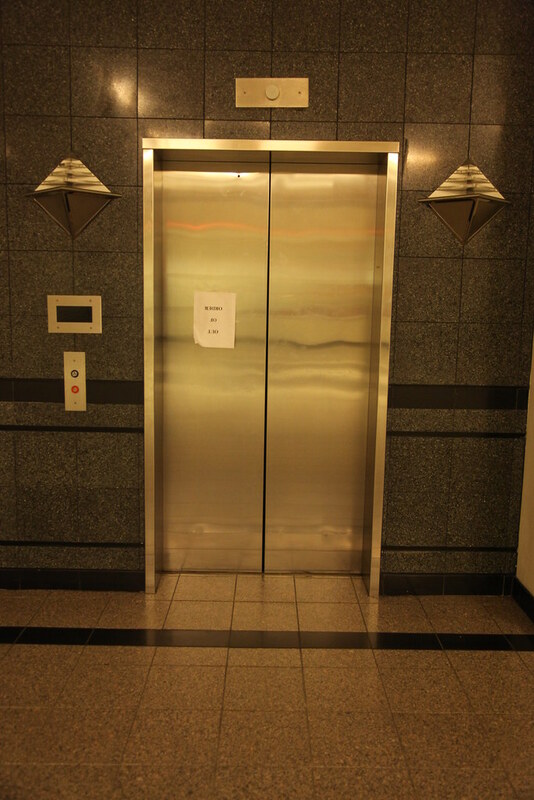 This poor 1993 vintage Montgomery 2-story hydraulic elevator had been decommissioned. Unlike many other elevators here the machine room was locked securely. It appeared in other elevators here that Montgomery Kone (the elevator contractor) had removed relays so as to prevent the elevator from running, but mysteriously, left the controllers energized. There is really no reason to leave the controller energized with the relays out, since the elevator contractor will have to return to make the elevator run by replacing the relays anyway, at which time they could simply switch the power back on. Then again, typical Simon thinking: leave hundreds of stores and unusable equipment energized, rather than try and find an occupant.